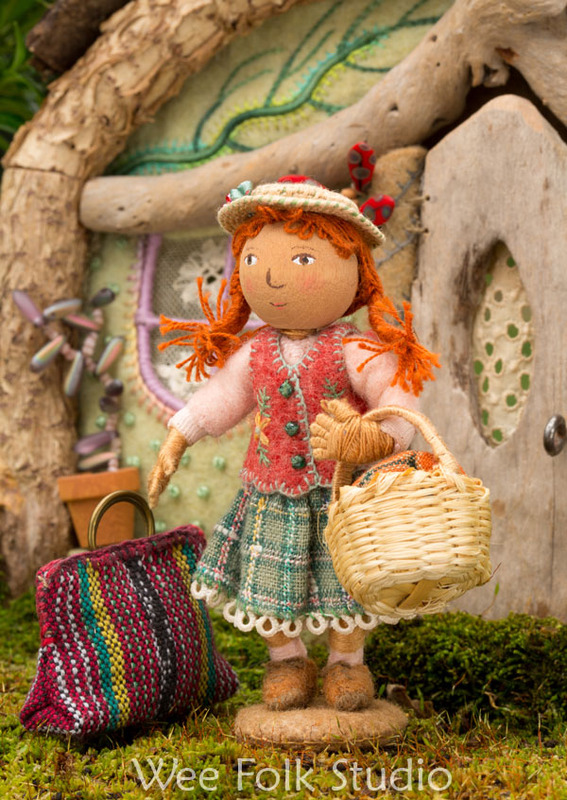 Polly Doll is packed and ready to go on a trip to Ireland. She’s filled her carpet bag and basket with all of her necessities and is waiting to board the Peter Pan bus to Logan Airport. Polly missed the bus last year and she is so determined to go along this time that she will not move from her spot in front of the house. No sleeping, no bathroom breaks. And she insists on holding her carry-on luggage while she waits. She’s hoping to show pictures of her travels on Facebook while she’s away, so check there from time to time to see where she’s been. This entry was posted in Ireland 2013, Photography, Polly Doll, Travel by Salley Mavor. Bookmark the permalink. I am sure Polly will enjoy here time in Ireland, maybe she will met some pixies who will love to meet her too. Have a safe trip Polly and Salley, And may the Irish winds always be at your back. Polly’s costume is divine and so is her adorable house!!! Can’t wait to see where she goes and what kind of mischief she might get into along the way! I love Polly. I’m looking forward to seeing her Ireland photos. May the road rise up to meet you on your way, and I hope you have an absolutely beautiful time! Enjoy the Irish Fairy Tales! With dolls, the question is, “What’s more important, to stand or sleep?” When Polly went to snow country in Antarctica she had a white base, but else where a brown base will do. 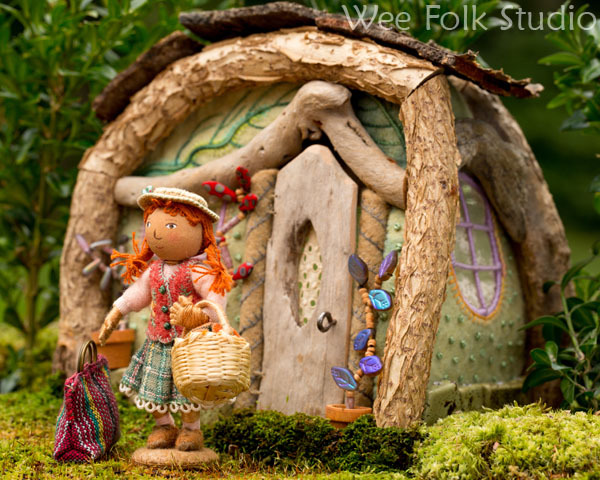 I will teach about these bases in the 2nd edition of Felt Wee Folk, which will come out in 2015. Thank you so much! I am so excited about the second edition!!!! Woooo, look at that gorgeous travel bag!